We have added an extra process to the manufacture of our wax foundation sheets. Wax blocks are now placed into our brand new state of the art sterilizing equipment that warms it to 125°C for over an hour to eliminate bacteria, bee disease and dirt. This kills all known pathogens and eradicates spores American Foulbrood (AFB), European Foulbrood (EFB) and Nosema. Why use sterilised wax foundations? A healthy hive means healthy bees. Using our sterilized wax, that has been warmed to a temperature to ensure all known pathogens have been killed and spores of AFB, EFB and Nosema have been eradicated, means you can rest safe in the knowledge that your bees start the season drawing their combs in foundations made of the purest wax. As well as our standard foundation, we now also offer super foundation, a new premium foundation made from our sterilised wax which has a thicker cell wall. The thicker cell wall creates a better start for your bees as they use less energy drawing comb, leaving more energy for honey production. 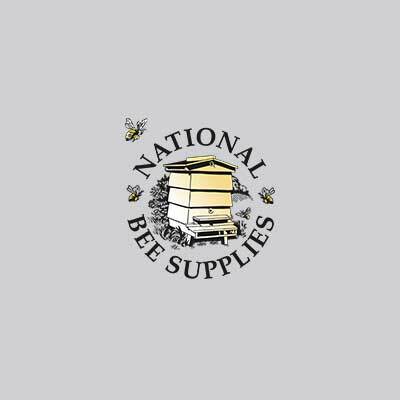 All of our foundation is available in packs of 10 sheets that has been cut to industry standard sizes and fit snuggly into the quality frames made here at National Bee Supplies.